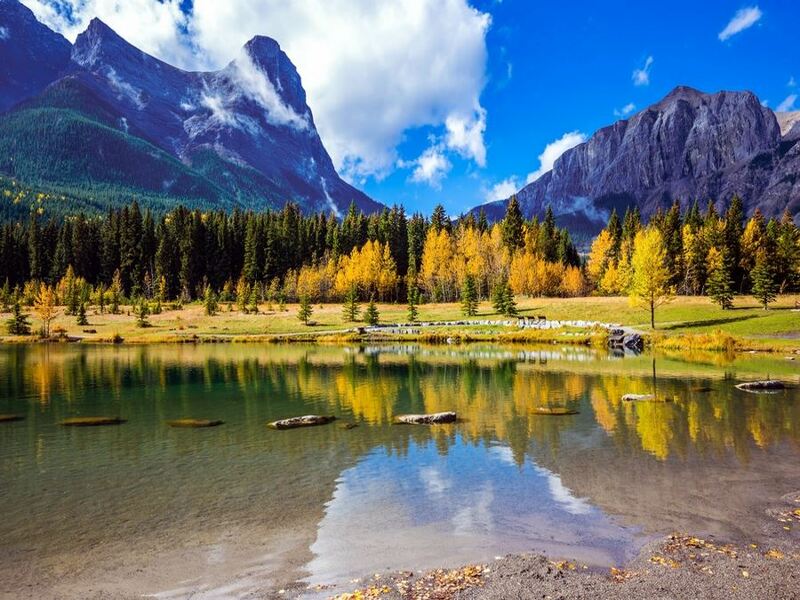 Just south of the world-famous Banff National Park, in the heart of the Bow Valley, you’ll find the quaint mountain town of Canmore. 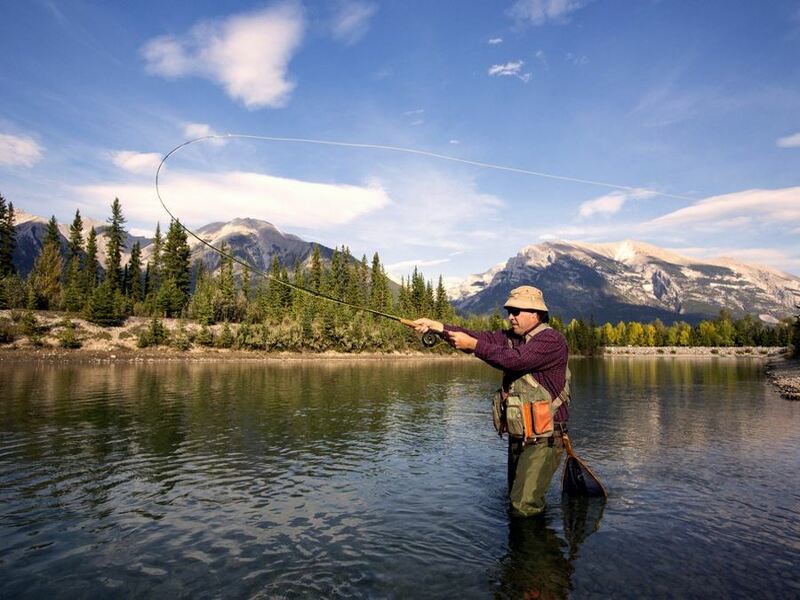 As the gateway to Kananaskis—”Alberta’s Mountain Playground”—residents and visitors alike flock to this small settlement for a taste of outdoor adventure in the nearby mountains, rivers and foothills. 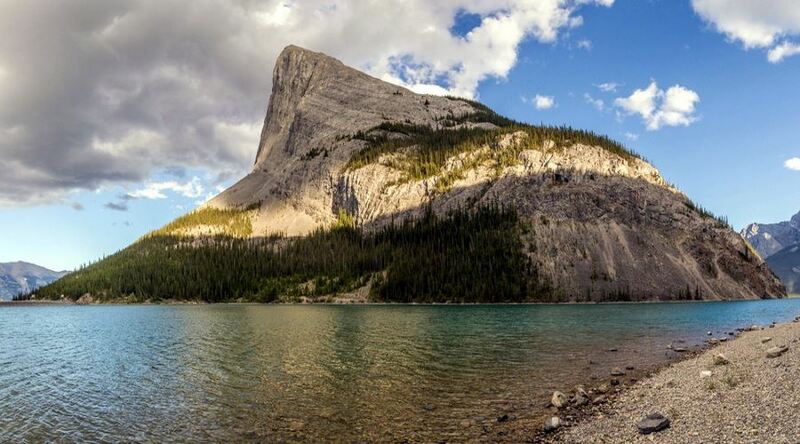 Whether you’re looking to ski in a world-class facility, visit a local museum, ice climb, kayak, canoe or embark on a cave tour, you can do it in Canmore. 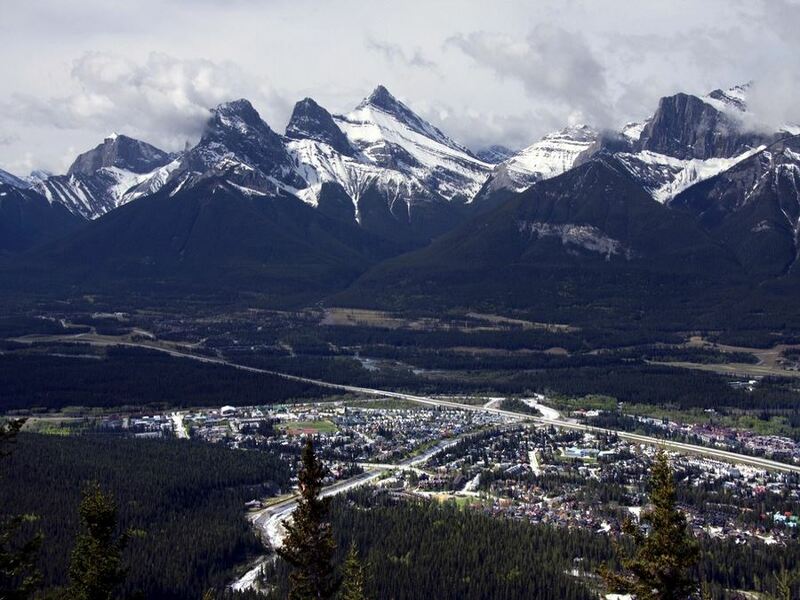 Canmore is located just 88km (55mi) west of Calgary and 23km (14mi) south of Banff. The main roads to Canmore are the Trans-Canada Highway (Route 1) and the Bow Valley Parkway (Route 1A). With all roads, snowfall can limit accessibility and wildlife crossings are frequent. Keep an eye out. Here we’ll take you through the basic overview of hiking in Canmore—including how to get there, where to stay, where to eat, what to see and what to watch out for. You can easily access Canmore from Calgary International Airport, serving many major international and North American airlines. From the airport you can either rent a private vehicle (perhaps the best option if you want to further explore Banff, Lake Louise and the Icefields). Or, you can opt for a shuttle service such as Banff Airporter, Brewster Banff Airport Express or the luxury service, Highland VIP. 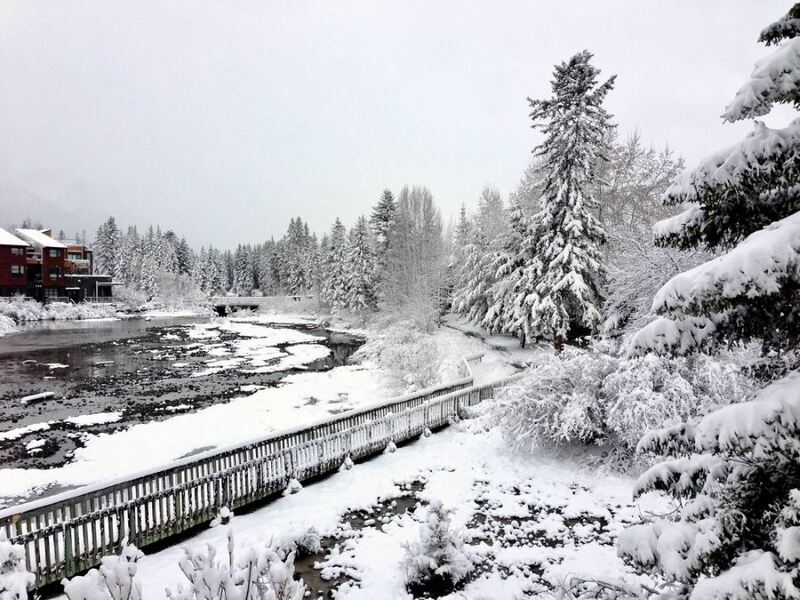 Canmore is definitely a year-round destination, offering something for everyone during each season. In the winter time enjoy a number of snow-related activities such as skiing, snowshoeing, dog sledding and ice climbing. 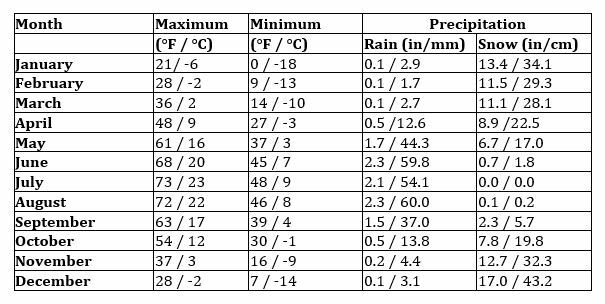 The weather here rarely comes above freezing, however, so make sure to pack layers. Spring already starts to show in early April, and it’s the perfect time to enjoy nearby Banff without the big crowds. In the summer, the weather warms a bit, but still remains comfortable for outdoor activities. This is the time to go if you want to enjoy long hiking days. As September arrives, the leaves begin to change—creating a stunning backdrop of fall foliage. The air is crisp and the weather unpredictable, so be sure to pack warm clothes. There are a few options to get around Canmore. The first is by renting a car, which is necessary to access most of the hikes. If that’s not possible you can call a private taxi or hop on the Roam bus. This public transport option travels throughout Canmore and Banff as well as to other connections within the Bow Valley. You can take bikes on the bus as well. 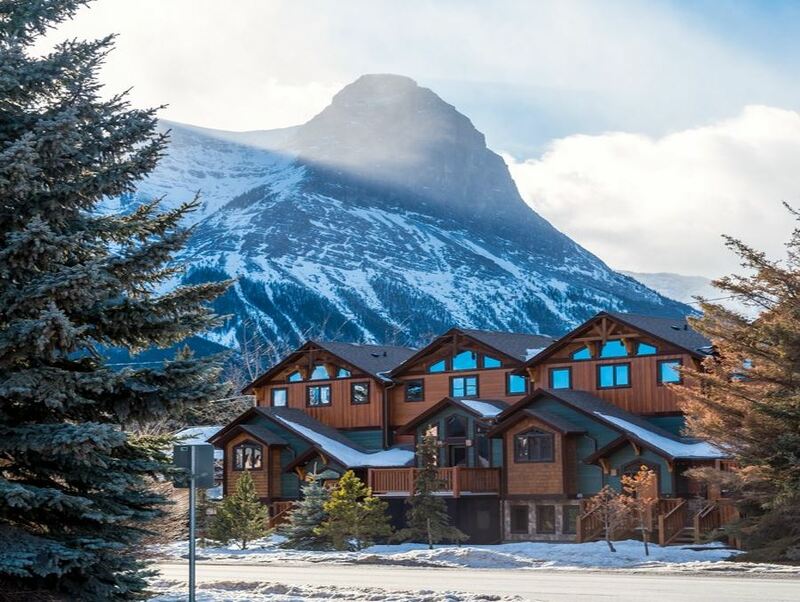 Canmore boasts a number of accommodation options—perfect for those on any budget—from luxury hotels to multi-person condos. 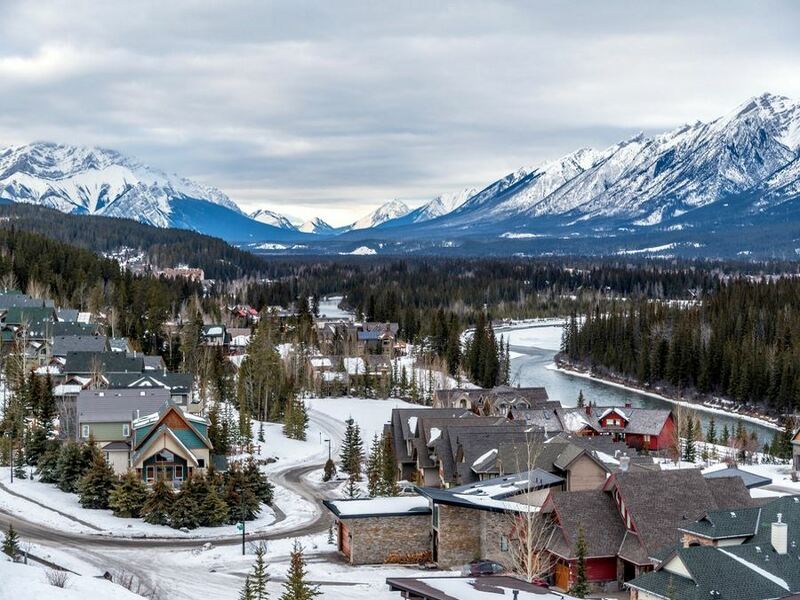 When visiting Banff, we often suggest staying in Canmore as it is very close by and less expensive.  For more complete information about accommodation in Canmore, please click here. If you want luxury accommodation, the Stone Ridge Resort, Black Stone Lodge, Copperstone Resort and Falcon Crest, offer a mix of single rooms and suites complete with gourmet kitchens, private patios and cozy fireplaces. These four hotels—all highly rated on Trip Advisor—are also run by the same company. For a charming stay reminiscent of the English countryside, we recommend the Georgetown Inn. Tucked inside a Tudor-style mansion, you’ll find a number of cozy guest rooms, just minutes from Banff. Top it off with a drink in their authentic pub for a lovely stay. We also like the quaint Mount Engadine Lodge in Kananaskis (near Canmore). Recently, TripAdvisor named this authentic mountain lodge one of Canada’s “Top Ten Hidden Gems”. 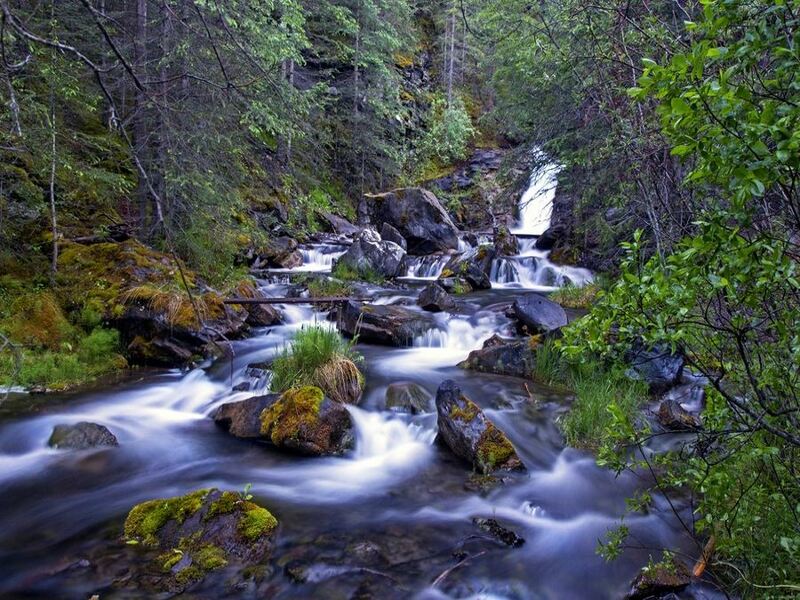 Waking up in the pristine wilderness of the Spray Valley Provincial Park, you definitely won’t regret a stay here. There are also a number of places to camp within Canmore. Find out more here. Canmore also boasts a wide variety of options for eating. If you want fine dining, head to The Trough. With a rotating set price menu based on what’s seasonal and just nine tables you can be sure of a customized, intimate dinner experience here. If you want something a little more “caliente” head to Tapas. Serving a mix of shared plates based on authentic Spanish ingredients and old-world flavour this is a local favourite (with live Latin music!). If you’ve got meat on the mind, Gaucho Brazilian BBQ is the place to be. They serve certified Alberta Beef, wine from local vineyards, regionally-produced herbs and more—all in the traditional Brazilian style (called Rodizio dining). For a more casual dining experience, we recommend Rocky Mountain Flatbread. They offer a mix of freshly made pizzas, pastas, salads, soups and more with an emphasis on sourcing from local farmers. Another great option is the Iron Goat Pub & Grill. Here you can find a hearty mix of comfort foods such as Bison Onion Soup, hand cut steaks, baby back ribs and Jalapeño Cheddar Cornbread. For those into healthy clean eating, check out breakfast and lunch at Communitea Café. Here you can find a great mix of fueling breakfasts and lunch bowls, sandwiches, salads, soups and wraps—and they are vegan friendly. If you’re looking for a hot cup of coffee, made-from-scratch breakfast bagels and more, check out Rocky Mountain Bagel Co.
WHAT ELSE CAN YOU DO BESIDES HIKING IN CANMORE? With Lake Louise, Kananaskis and the Icefields in close proximity, Canmore is the perfect year round destination for a wide variety of activities. 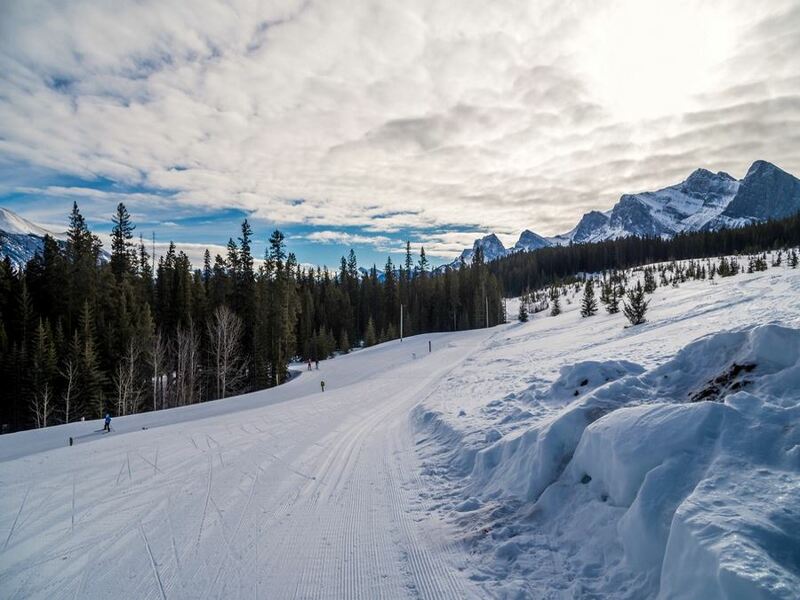 In winter, you can head to the slopes, cross country ski or snowshoe throughout the magnificent landscape. In summer, the possibilities really open up. There is great cycling routes, with fun road bike and mountain bike trails in Canmore and all around. If you don’t have a bike, don’t worry, Rebound Cycle has a great rental fleet of road, mountain, trail and fat bikes. They also do guided tours and will organize custom adventures. The area boasts an elaborate cave system, which you can explore with companies like Canmore Cave Tours. Some tours are even available all year round! Nearby Banff Adventures also offers guest a number of adventures such as rafting, canoeing, helicopter flights, wildlife tours, skydiving, gondolas, ATV tours, Via Ferrata and more. Canmore is also home to a number of art galleries, with many celebrating and showcasing works from local artists. As well, there are many spas you can relax in after a long day exploring. The roads may be very crowded during peak seasons. Pay attention to wildlife, especially at dusk and dawn.